Logic Pro is one of the most popular DAW programs around these days and is used by many musicians, engineers and producers. 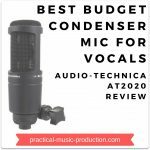 Simple but powerful, it suits both the home recording studio and the commercial studio. The program can be used in all areas of music production, from the creative writing stage, all the way through to recording and mixing. My first ever DAW was Logic 5 on an old Samsung laptop, and it was a great introduction and learning experience in recording and producing music. The program has been available on Apple Mac computers exclusively since 2002, when Apple bought Emagic who created Logic in 1993. Logic 6 was the first version to be Mac-only, and it’s the reason why you’ll now sometimes see the program labelled Apple Logic, although this is still fairly uncommon. 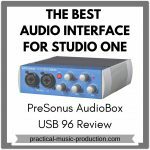 The plugin format used is called Audio Units. As an Apple-only product, it doesn’t support the use of VST plugins directly as the VST format only works natively on Windows systems. But you can use small programs known as ‘wrappers‘ that allow you to use VSTs on Mac computers. Given the massive range of amazing VSTs out there, most of which are free, this feature is definitely one to take advantage of. I find that I can spend hours just playing around with effects plugins to see what new sounds I can create. 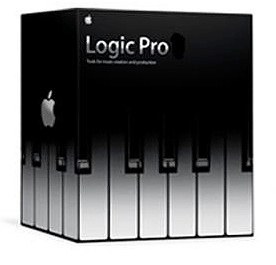 Logic is similar to programs like Ableton Live in that it provides lots of extra software with the package, such as synthesizers, keyboards, effects, processors, and samplers. This most recent version was released in 2009. In 2011, Apple stopped making physical versions of the program and started selling it only in the Mac App Store along with a massive reduction in price. 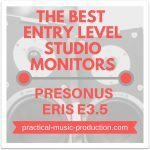 This has made it even more popular amongst home studio owners. At the same time, Apple also stopped making the more compact version of the program which was known as Logic Express. One of the reasons was that Apple wanted GarageBand to become their entry-level program for potential new songwriters and producers. I’m a big fan of Garageband for this reason, it’s a very basic package that allows beginners to get a taste of creating their own music. Being able to open Garageband files in Logic has been a very clever idea for Apple to introduce. Once a user wants to move beyond GarageBand, it’s very easy to upgrade to Logic and to carry on working on your creations and productions with a much more powerful program. For Apple Mac users, Logic Pro (the link takes you to the official site) is definitely one of the top DAW programs worth considering for your studio. 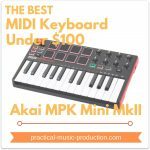 It’s very intuitive and easy to use, and is a lot cheaper when compared to other top-of-the-range DAW programs. And if you’re just starting out with GarageBand, then Logic Pro is the perfect way to upgrade and move your productions to the next level. For these reasons I can highly recommend it.